CDR OxiTester is the fast, simple and reliable system conceived to perform quality controls on olive oil directly at the mill. Technical Skilled staff are not required. Thanks to CDR OxiTester, even non-qualified staff in the field of chemical assays can perform olive oil testing very easily and quickly, in any environment and with no need of a dedicated laboratory. Samples do not require to be prepared. The instrument does not require calibration. Reagents come in ready-to-use vials and operators avoid getting in touch with toxic or carcinogenic substances. CDR OxiTester for Olive Oil was last modified: March 6th, 2019 by CDR s.r.l. What is the CDR OxiTester System? CDR OxiTester is a true testing laboratory, a self-contained and compact apparatus complete with everything needed to perform quality controls of your oil, autonomously, directly at the oil mill, in the oil processing plant or at the time of purchase. An analyzer based on photometric technology, available in the standard or Junior version, equipped with state-of-the-art LED emitters, reading cells (4) and 37°C thermostated incubation cells (12). A graphic printer will immediately print the test results. How are tests on olive oil performed? Performing chemical analyses on olive oil is simple and fast because no sample preparation is required. All reagents are supplied pre-vialed and ready to use, and operators do not have to handle toxic or carcinogenic compounds; there is no need to wash either containers or traditional glassware. With CDR OxiTester Portable it is possible to carry out in a few minutes the analysis of FFA (acidity), peroxide value, polyphenols and stability index. Thanks to its lithium battery, with CDR OxiTester you can carry out the analysis for a whole day without plugging it in. 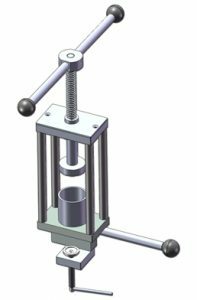 Extraction system: this innovative, practical and fast extraction system enables to obtain a sufficient quantity of oil to perform quality control tests directly from the drupe or hard-shelled dried fruit via cold pressure, abandoning the use of solvents. Accessories supplied Pipettes for analysis execution, cuvette holder base, thermal paper roll, USB cable, dust cover, 24V power supply. Pipettes for analysis execution, cuvette holder base, USB cable, 24V power supply. 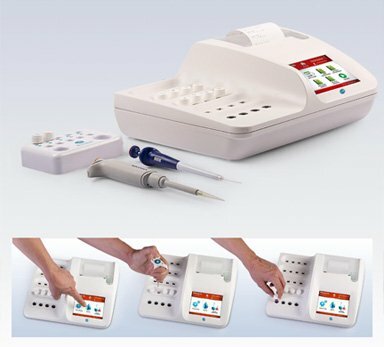 Pipette for analysis execution, cuvette holder base, USB cable, 24V power supply. Suitcase, Bluetooth printer, thermal paper rolls.